This simple Banana Date Smoothie is made with a combo of banana, dates, yogurt, honey, ice, and cinnamon, makes a refreshing and tasty concoction. I have tons of smoothie recipes, a few favorites are Kale Banana Chia Hemp Superfood Smoothie, Strawberry Peanut Butter Swirl Smoothie Bowl and Skinny Green Tropical Smoothie. I’m super excited to share this guest post from my friend Heather. I met Heather a few years ago in San Francisco, and we’ve been friends ever since. She’s an inspiring, positive person – the kind of person you want to be around all the time. She’s also the nutrition expert for The Skinnytaste Cookbook, please welcome her! Hi there, I’m Heather! I’m a dietitian and the founder of www.heatherkjones.com – a weight loss site that focuses on healing and hope instead of diets (ugh) and deprivation (no thank you!). I’m also the creator of Smaller Size Bigger Life, an online group coaching program for women who struggle with emotional eating, compulsive overeating, or body image issues. 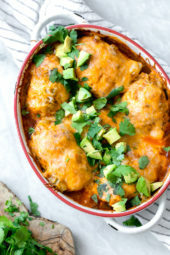 I’m thrilled to guest post on Skinnytaste today (thank you, Gina! ), and I’m so honored to be the nutrition expert in the upcoming Skinnytaste cookbook. Gina poured her generous heart into this beautiful book and I know you’re going to love it as much as I do! So I’m a huge fan of green smoothies, in fact I drink a Skinny Green Monster at least a few times a week. 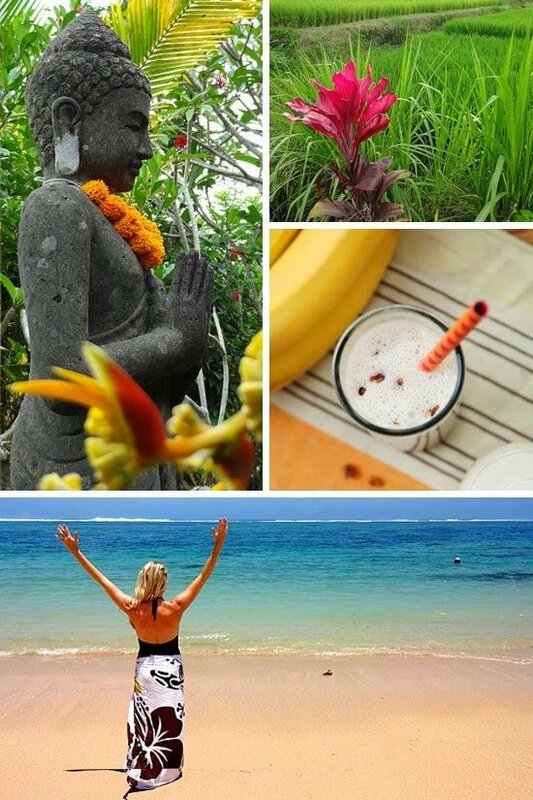 But on a recent trip to Bali I discovered a banana smoothie that just blew me away. The simple combo of banana, dates, yogurt, honey, ice, and (surprise!) cinnamon, makes a refreshing and tasty concoction, especially for sipping on steamy days. I drank one of these delicious smoothies every morning before heading to the pool or biking thru the rice paddies. Here’s to a healthy and happy summer. Enjoy! 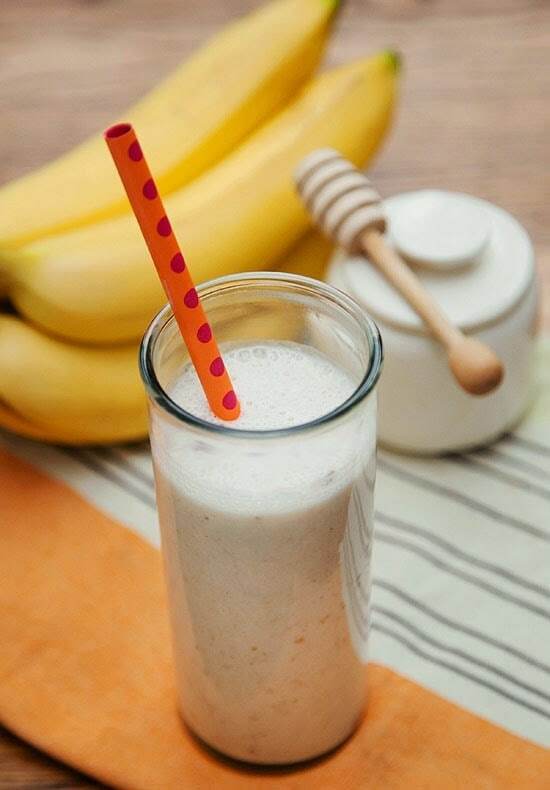 Blend banana, yogurt, milk and honey until smooth. Add dates, cinnamon, and ice. Blend for 3 minutes more. Sorry… meant to say "non-dairy milk"! 🙂 When you've been vegan so long, it becomes habit to call things by their "other" name. Our vege-burgers are just "burgers," soy/almond/rice milk is just "milk," etc. This is very similar to a vegan banana-date smoothie I make. We peel and freeze our bananas when they ripen to a sweet stage, but are not full of brown spots. We use them for all of our smoothies. Add 1-1 1/2 frozen bananas, 6-10 dates (depending on variety and your taste), and 8 oz. milk to a blender, and blend until smooth. No yogurt or honey is needed. The frozen bananas keep the smoothie cold and make it creamy. It's delicious. I do want to try adding some cinnamon, though. That sounds really good. 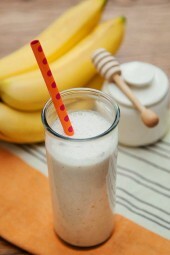 Another smoothie to try for later/pin now to my Vega Smoothie Pinterest Contest board. So good. Gave this a try this afternoon, and wow! So yummy and satisfying. Also, a welcomed change from the usual fruity smoothies. Thank you for sharing! I used coconut milk for this and it worked great! This is seriously my new favorite smoothie. My blender can't handle chopped dates so i made a date paste instead and used about 1/4 cup of that. I also admit I used a mix of medjool and dakhla noor dates because the standard california ones just can compare. But they're sweet enough that I didn't need the honey so I figure that's a fair trade off! I tried it again today. I used 1/2tbs on honey and a little less then 1 tbs of chopped dates. It came out great. 1 1/2 datesor 1 1/2 cups of dates? I just had some for breakfast. It was a little sweet but very good. I think I used more then 1/2 tbs of honey. Next time I'll use less honey or take it out. Otherwise it was a great smoothie and different from my usual smoothies. Saving this one! Lovely bananas, I like it. I've made this and it's good, but it contains an entire day's worth of sugar grams. Unfortunately, I didn't realize that until after consuming and entering it into myfitnesspal. I won't make it again. Honestly, it seems kind of irresponsible to offer up a recipe like this on what is usually such a great site/healthy resource but its ultimately my fault for not paying attention to the details in advance. There is nothing wrong with a little sugar, the problem is we eat WAY too much of it. Moderation is key. Limit yourself to around ten teaspoons (40 grams) or less of sugar per day. And because the closer to nature your food is, the better, stick with minimally processed sugar choices—think honey, raw sugar, real maple syrup, and molasses. Erica, if you worry about too much sugar in this recipe, you can always eliminate honey. The smoothie won't be so sweet and you don't have to worry about too much extra calories. According to http://happyforks.com/analyzer you can save almost 8g of sugars. I like bananas, and I like the juice in the picture. Such a great combo! It's like a healthy milkshake! I made mine with 1/2 banana, a date, some lactose-free milk, ice cubes, and a generous dash of cinnamon. YUM. I made this the other day for lunch – my 2yo and I loved it! Excellent. i will try your smoothie, on a site note, i tried signing up for your blog and was "timed out" i received an error and could not sign up. 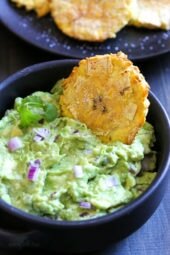 how would I substitute packaged chopped dates for the 2 dates called for in the recipes? I guess what I'm asking is what would the equivalent be? Hmmm, I would do a tablespoon of chopped dates. Having gum surgery Monday. Glad this came through today. Dates are yummy. Hello! So sorry – it should be 1 1/2 dates, not 2 (my typo – Gina is fixing). BUT you should use regular dried dates (20 calories per dates) instead of medjool dates (66 calories per date). How could I not want to try a smoothie from one of the most beautiful places in the world? I will definitely be trying this, but would add some unflavored protein powder to up the protein to the level I need. 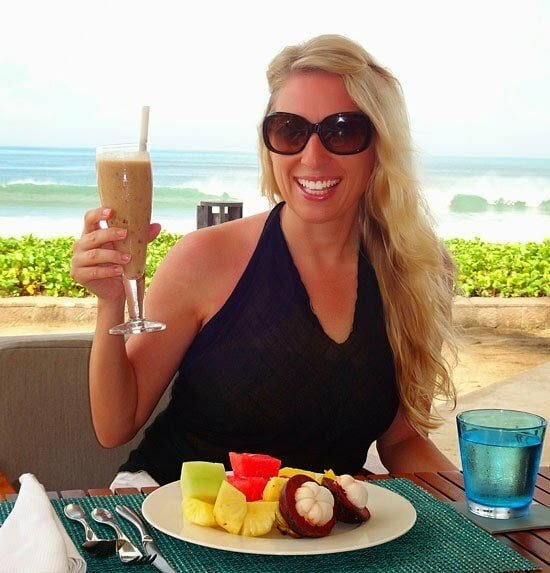 I LOVE mangosteen too – I ate 4 or 5 everyday in Bali! OMG I TOTALLY wholeheartedly agree! When you are happy with yourself and your life you will want to take care of yourself! 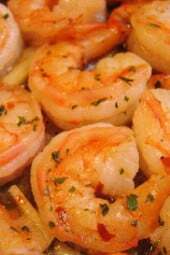 LOVE this recipe pinning!!! Made this for breakfast after muggy 4mi run this morning. Delicious! Added just a pinch of shredded coconut. Tropical goodness–thanks for sharing! wow, che meraviglia, beata te!!!!! Ditto to Anon – what is the food on the plate of fruit that is red with a white center? and looks a little like a brain. Smoothie recipe looks so yum, I never have them because they are usually high calories but I'll give this a whiz! You can have a shot of rum on WW! You just have to count the points! Yum! Thank you for this recipe. I'm so curious…. what is the food on the plate of fruit that is red with a white center??? Hello! It is the tropical fruit mangosteen – sooooo delicious! Thank you, Heather! We're all so excited about Gina's book, and thankful for your input. I am happy to learn of your website…healing and hope, that's just what I need. I'm a dedicated Weight Watchers member, but I need a little extra boost more often than not. Mary, you really need to connect with Heather. She is amazing! I've just discovered that I'm dairy intolerant so now use almond milk but what would you suggest I use instead of the yoghurt? Sounds delicious! I'm hungry now, looks so delicious. Great pict and nice smile. I do appreciate that you are giving us a recipe for just one serving. I get so exhausted looking for smoothie recipes that are just for one person. Usually I find them for a half gallon of smoothie, and I am the only one in the house that drinks them. So, thanks bunches! Lori, there are a lot of food blogs out there that post smoothie recipes for single serving. Try exploring the ones you find in the 'blogroll' section of any food blogs you like (or one called 'blogs I follow'). I would name some names but I'm not sure that would be good etiquette here. Looks delicious! I am paleo so I would probably substitute the yogurt with cashew butter. Looks really yummy! If I don't have dates, can I substitute something else? Sounds so good! Thanks for sharing!! Yum, that sounds like an amazing breakfast – or an amazing dessert. I think I will make it after dinner tonight. Thanks! As soon as I heard bananas and dates I new I had to try this it must be sooo nice!!! This looks really yummy but I can't have dairy, is there a substitute for the yogurt? Hi Margeret, I use full-fat canned coconut milk. HI Margaret – yup, soy yogurt would work. And someone else suggested nut butter. Coconut milk sounds good too! Almond milk regular or Vanilla would work great for a dairy free substitute. I used vita coco coconut water as the base. Raw Honey, Dates rolled in coconut, 1 whole banana and 1/2 cup of fresh blueberries and it was delicious! Made it before I saw this site, will have to try this way as well. 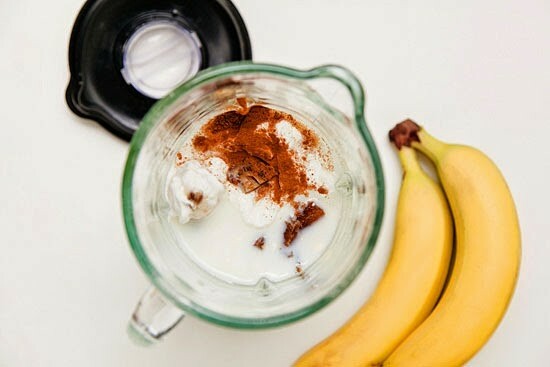 This looks so delicious – I love banana and cinnamon anything! I make something very similar to this, but I use vanilla almond milk instead of regular milk, and vanilla greek yogurt instead of regular. I have not added cinnamon, but I am going to try that! If I drink this after a workout I add 15 grams of vanilla protein powder and I usually always spinach too. The vanilla/date/banana combination is just so delicious! Can you taste the spinach at all? The juice bar near my office makes one very similar, but they also throw in a grate or two of freshly cracked black pepper – you don't recognize it as pepper, but it plays off of the cinnamon beautifully. Oh interesting on the pepper – I will try that. Thank you! I make something similar to this and it is delicious! Nutrient dense and tasty! That sounds like delicious heaven in a glass!